מכונית -על M1 מסוף שנות ה 70 ראשית ה 80'. 245/35/19 מלפנים , ו- 265/35/19 מאחור, מאחר והיא מצויידת בהנעה אחורית כמובן. בדרך למהירות מרבית בת 250 קמ"ש. הבווארים לא יהיו לבד בצמרת מאחר וסדרה 1 M קופה תיאלץ להתמודד מול אאודי RS3. With anticipation of enthusiasts around the world at fever pitch, today BMW M GmbH unveiled the newest member of its intimate product family. For the first time, the coveted M badge has been granted to the popular BMW 1 Series in the form of the all-new BMW 1 Series M Coupe. The M badge was imparted after a two-year development process through which BMW M engineers and test drivers achieved the exceptional power delivery and the signature, near-perfect driving behavior of a BMW M car. 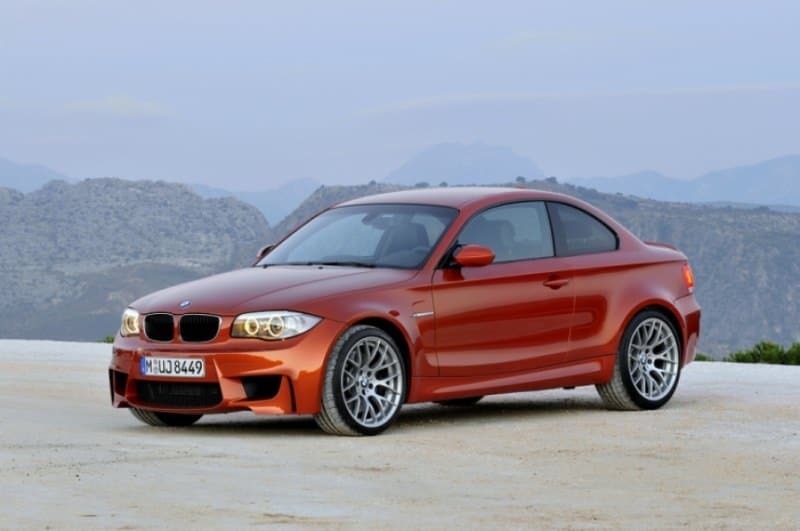 The 2011 BMW 1 Series M Coupe will be available in limited quantities and with a limited range of options at Authorized BMW Centers in Spring, 2011. Final pricing, packages, and options will be announced closer to the on-sale date. “Eigenwillig,” a German word meaning “self-willed,” “individual,” and “determined to go its own way,” has been the proper word to describe the most unique and memorable M cars of the past three decades. 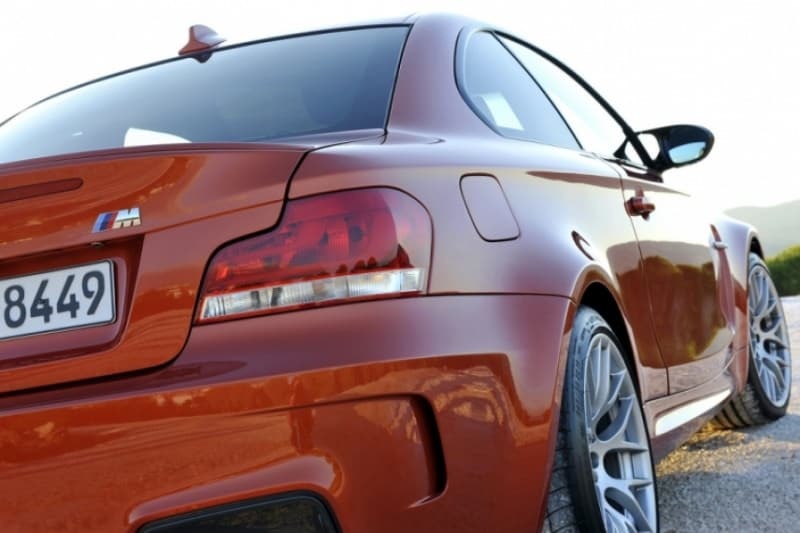 With the original 1988 BMW M3 as its inspiration, the 2011 BMW 1 Series M Coupe combines the raw capabilities of a race car with the agility, versatility, and seating position of a compact BMW Coupe to create a pure Ultimate Driving Machine®. In doing so, the 1 Series M Coupe continues the eigenwillig tradition of BMW M. With its latest two-door model, BMW M is illustrating its ability to build race car performance into a small car, capable of everyday use. 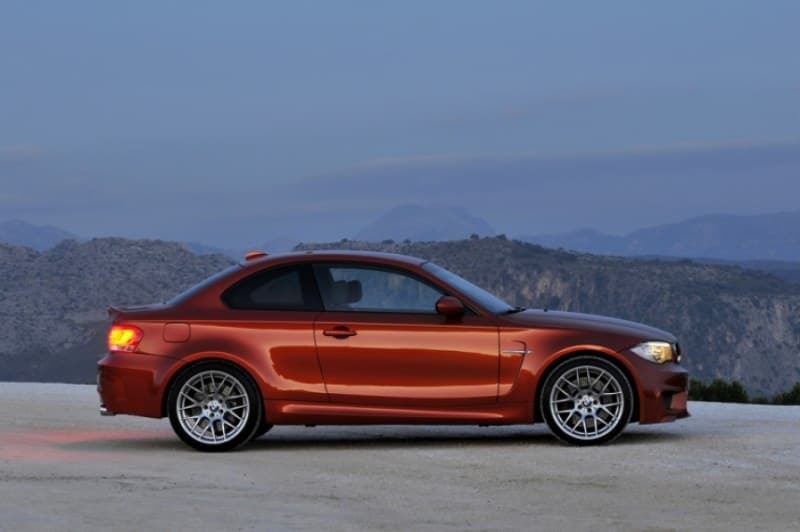 The new BMW 1 Series M Coupe has been developed for near-perfect balance and a large, square footprint. It is 71 inches (1803mm) wide – 4.8 inches (122mm) wider than its 1988 M3 ancestor – yet only 1.3 inches (33mm) longer at 172.4 inches (4379mm) long. The new 1 Series M Coupe weighs in at 1,495kg DIN (3,296 lbs, preliminary), and features a 104.7-inch (2659mm) wheelbase, three inches longer than the 1988 M3. Front and rear track widths are exactly the same on the 1 Series M Coupe at 60.7 inches (1542mm) each. Compared to the 2011 BMW 135i Coupe, the 1 Series M Coupe is 0.2 inches (5mm) longer, 2.1 inches (53mm) wider, 0.5 inches (13mm) taller, and rides on the same 104.7 inch (2659mm) wheelbase. It features a track 2.8 inches (71mm) wider up front and 1.8 inches (46mm) wider in the rear, and weighs 35kg DIN (77 lbs, preliminary) less. The new 1 Series M Coupe features a high-strength steel unibody, with unique, widened fenders and rear quarter panels to house the substantially widened track. It also features a metal roof panel which saves about 35 lbs (15kg) compared to BMW 1 Series models equipped with a moonroof. The 2011 BMW 1 Series M Coupe, constructed as one of BMW’s most performance-oriented vehicles in recent years, will not be offered with a moonroof. This weight savings – at the tallest point of the vehicle – provides a corresponding drop in the center of gravity, which contributes to improved driving dynamics. It also helps maximize head room (or helmet room, as the case may be). Providing sure-footed responsive handling for a high-performance, powerful and luxurious coupe, while keeping mass under control, presented numerous challenges for BMW M’s engineers. The result is an aluminum suspension originally conceived for the current-generation M3, and tuned specifically for this model at BMW M’s Nϋrburgring Nordschleife test center. Of course, every BMW design begins with arranging major components in a way that facilitates near-perfect front/rear weight balance (51.7/48.3). Virtually all of the front-end components are aluminum, including the front struts, swivel bearings, central subframe and an additional thrust panel below the engine serving to maximize lateral stiffness of the entire front section. At the rear axle, the subframe, transverse arms, track arms, and wheel hubs have been reconfigured by M for ideal kinematics, geometry and stiffness. Virtually every detail on the five-arm rear axle is made of aluminum and is new for this generation of BMW M vehicles, including the aluminum dampers. Both the front and rear axles feature hollow anti-roll bars optimized for their function and weight. Incorporating two additional longitudinal reinforcement bars, axle kinematics are perfectly tailored to the overall street and track character of the car. The result, in terms of both stability and weight, conforms to the balanced performance concept of every BMW M vehicle. A suitably powerful braking system for a car with this much performance was originally developed for the current-generation BMW M3. The internally-vented, cross-drilled cast iron discs measure 14.2 inches (360mm) in diameter at the front and 13.8 inches (350mm) in the rear. Featuring large compound disc brakes and electronic anti-lock, stopping power for the 1 Series M Coupe is strong, precise and consistent. Each disc is connected to a floating aluminum hub by cast-in stainless-steel pins. This configuration reduces the thermal loads on the discs, thus increasing their performance and service life. An electrically-driven pump provides the system’s vacuum power. Service – and safety – are enhanced thanks to an integrated wear indicator which, through a dash display, allows the driver to monitor the condition of the brake linings. Brake service – covered for four years or 50,000 miles under BMW Ultimate Service – can thus be administered when necessary without guesswork. 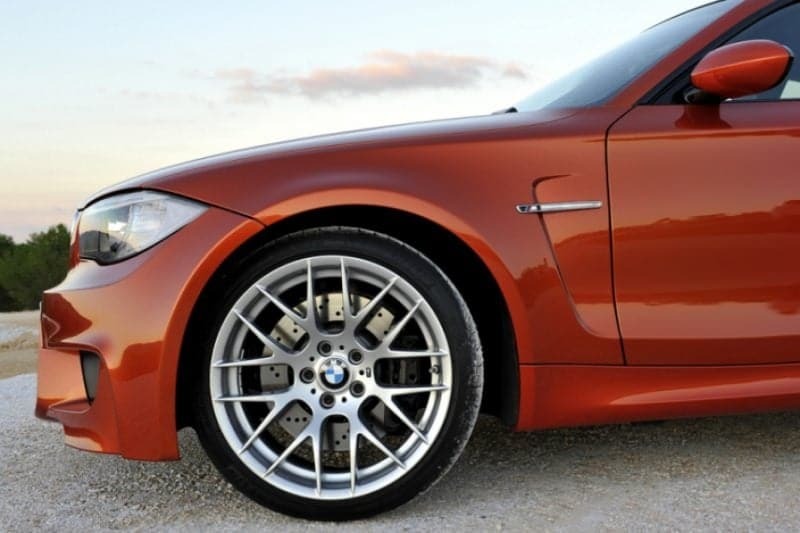 The 1 Series M Coupe is equipped with the M-specific, light-alloy cross-spoke wheels from the M3 Competition Package and limited-production M3 GTS. They measure 19 x 9 inches with 245/35/R19 low-profile tires at the front and 19 x 10 inches with 265/35/R19 tires at the rear, and are silver in color. In the BMW 1 Series M Coupe, power transmission to the rear wheels also provides the ideal basis for thrilling driving dynamics due to the consistent separation of drivetrain and steering functions. The rack-and-pinion steering is fitted with the hydraulic power steering system called Servotronic, which regulates boost in relation to road speed. 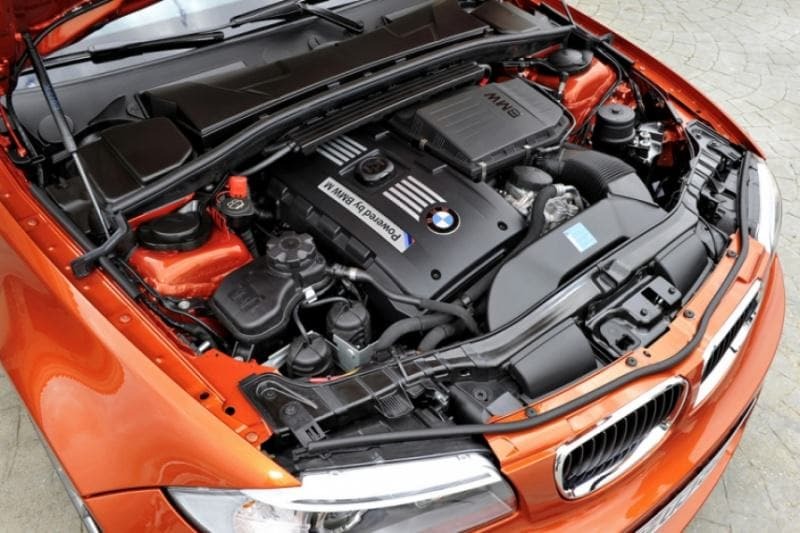 The heart of every BMW is the engine, and so an inline-6 with outstanding performance, free-revving behavior, and endless thrust propels the BMW 1 Series M Coupe. The concept is familiar: in the model history of BMW M, the high-revving inline-6 is one of the classic engine formats. 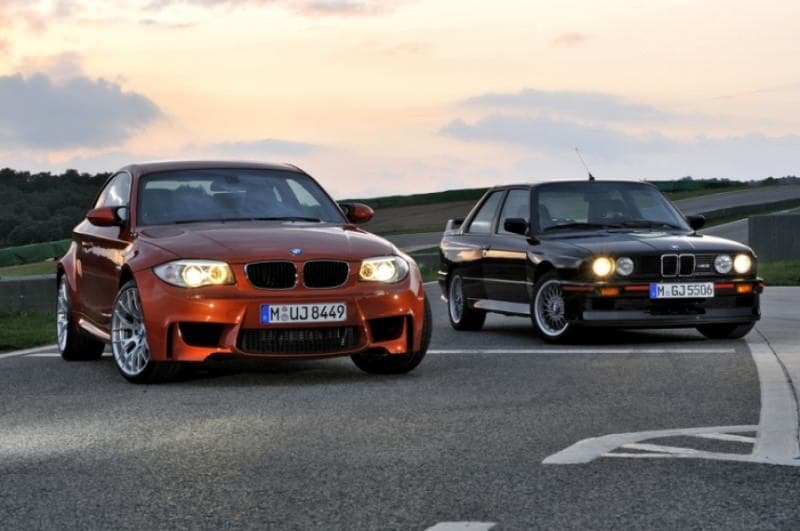 In the second and third generations of BMW M3, the inline-6 became famous for combining high output, razor-sharp response, and sonorous sounds. 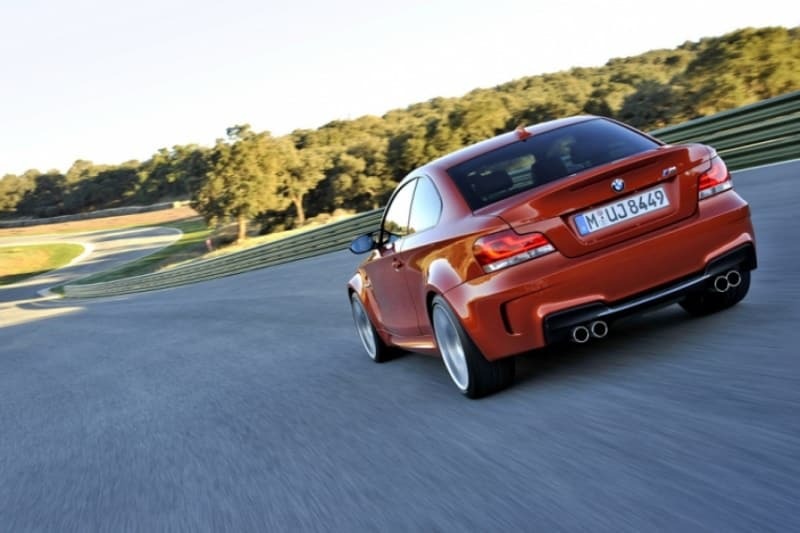 In the BMW 1 Series M Coupe, the inline-6 engine concept is realized in its most up-to-date form. The twin-turbocharged, all-aluminum, 3.0-liter inline-6 engine is characterized by instantaneous response to the accelerator pedal, fantastic sounds, and a free-revving spirit. The combination of twin low-mass turbochargers and BMW’s High Precision direct injection offers an output a naturally-aspirated engine would only be able to provide through more cylinders and larger displacement. The turbocharger system developed for the engine of the new 1 Series M Coupe maintains a high output throughout the entire engine speed range. Maximum output of 335 hp (250 kW) is delivered at 5,900 rpm. Nominal peak torque is 332 lb-ft (450 Nm) from 1,500 rpm to 4,500 rpm. Redline is 7,000 rpm. The enhanced engine management system of the 1 Series M Coupe includes an electronically-controlled overboost function to briefly increase torque under full load by another 37 lb-ft (50 Nm). This temporary torque peak of 369 lb-ft gives the car a substantial increase in acceleration. 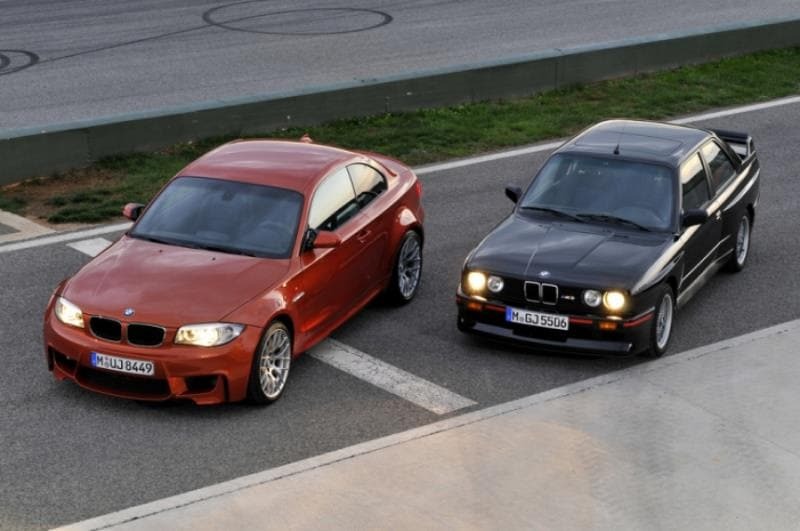 The 1 Series M Coupe will complete the sprint from a standstill to 60 mph in just 4.7 seconds (0-100 kmh in 4.9 seconds). The standing quarter-mile mark comes up in 13.2 seconds. Top speed is limited electronically to 155 mph (250 kmh). Signature sound to accompany the surge of power. 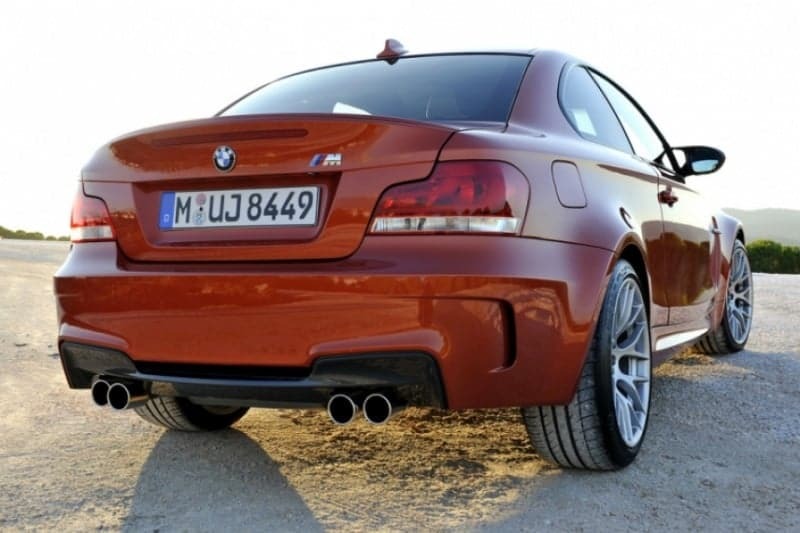 The exhaust system of the 1 Series M Coupe has been tuned by M specifically for this new model. Acoustic engineering gives the car a unique personality in all phases of operation. 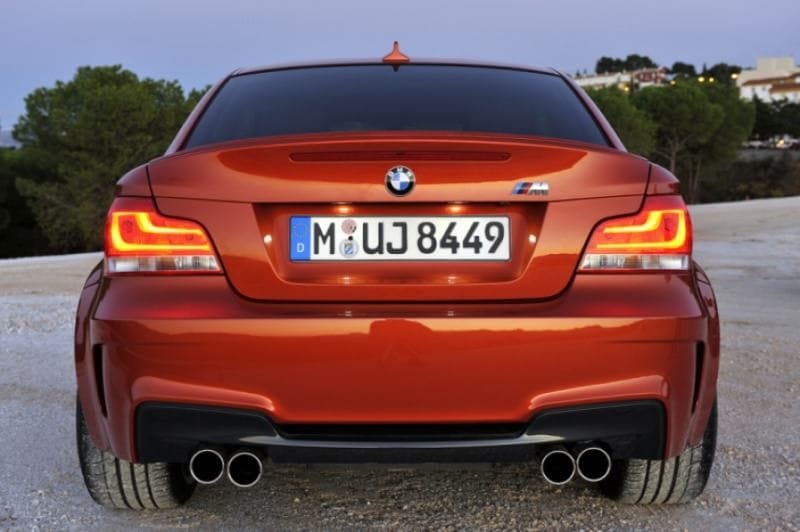 The M exhaust system is easily recognized by the presence of its four signature exhaust pipes. The new 1 Series M Coupe also features the steering wheel-mounted M Drive button that made its first appearance in the 2006 M5. 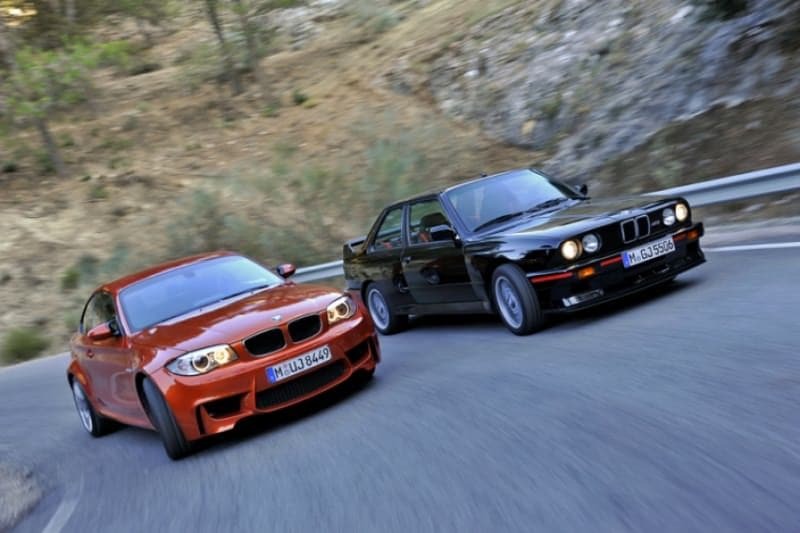 In the 1 Series M Coupe, the M Button activates a razor-sharp throttle response program for the sportiest driving. This means that the performance characteristics of the engine can be varied according to the driver’s wishes. 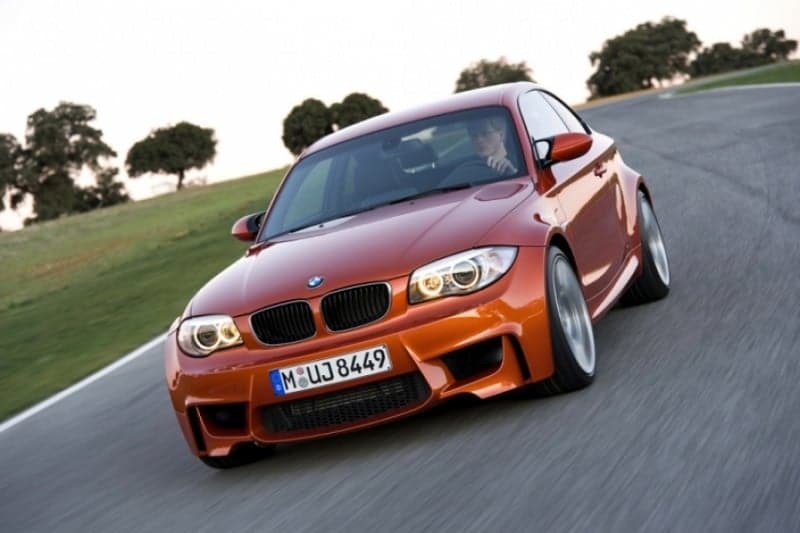 A close ratio 6-speed manual transmission is used for power transmission to the rear wheels in the BMW 1 Series M Coupe. It was specially designed to interact with high-torque engines and has been fitted for this purpose with a dry sump cooling system. An upgraded flywheel for high-torque applications is installed between the engine and transmission. The transmission is operated using a very short M gearshift lever. Final drive ratio is 3.15: 1. Variable M differential lock, DSC with M Dynamic Mode. 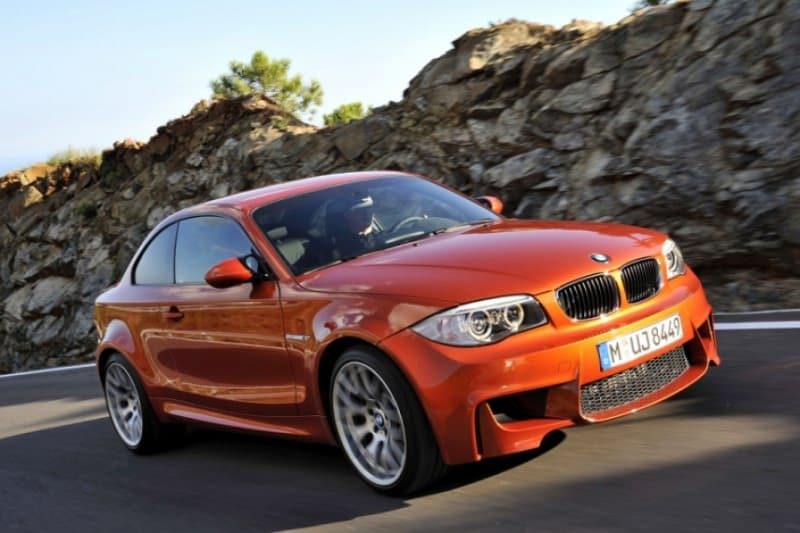 The BMW 1 Series M Coupe is fitted with a variable M differential lock. This generates lock-up torque on-demand and variably, thus providing for optimum rear-wheel drive traction on all road surfaces. The variable M differential lock responds to differences in rotational speeds in the right and left rear wheel, redirecting drive torque in a fraction of a second. So where there are significant differences in friction coefficients between the right and left rear wheel, for example, optimum traction and maximum possible propulsion are ensured. The centrifuge principle of the variable M differential lock supports the dynamic qualities of rear-wheel drive both on slippery surfaces and when accelerating out of bends. 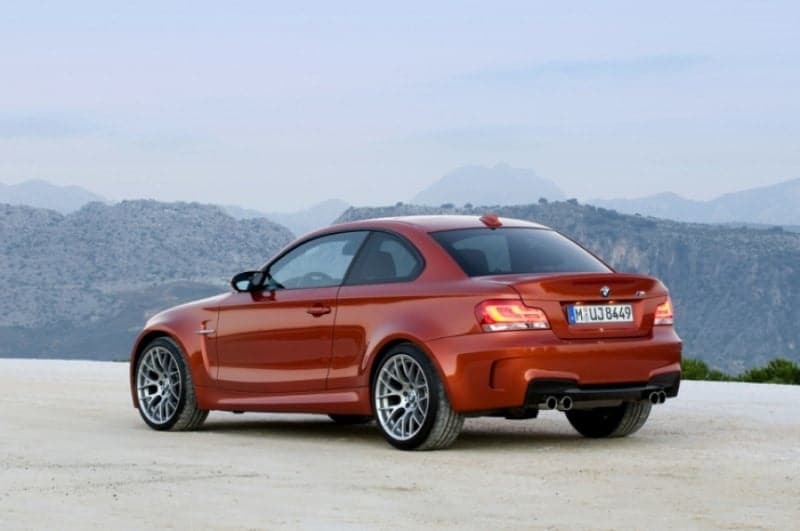 This gives the BMW 1 Series M Coupe traction benefits on slippery surfaces, snow and sand. It also supports sporty-style motoring on narrow, winding roads such as mountain passes since optimum traction and maximum drive torque are available when accelerating out of a bend. So in this model, too, the variable M differential lock proves ideal support for the driving dynamics properties of rear-wheel drive. The Dynamic Stability Control (DSC) of the BMW 1 Series M Coupe includes such elements as the Antilock Brake System (ABS), an anti-slip control function (ASC), the brake assistant Dynamic Brake Control (DBC), a hill-hold assistant for starting off, Cornering Brake Control (CBC), a brake fade compensation function and a brake drying function. In the wet or on slippery surfaces the DSC intervenes discreetly to limit oversteer. As an alternative to normal operating status, the driver can activate M Dynamic Mode (MDM) by means of pushing the MDM Button between the front air vents, raising the intervention thresholds of the DSC system. MDM enables slight amounts of dynamic oversteer under specific circumstances to enable optimum vehicle yaw for maximum performance. Demonstrations at the BMW Performance Center in Spartanburg, S.C. have proven MDM mode to enable the fastest-possible lapping performance while still providing the assurance and protection of Dynamic Stability Control. MDM also facilitates starting off in snow or loose surfaces by means of carefully controlled amounts of wheelspin. DSC may be fully disabled via a long-press of the MDM button (ABS remains active). Consistency between form and function is crucial to engineers at BMW M, who seek perfect balance of various aerodynamic factors in the wind tunnel. 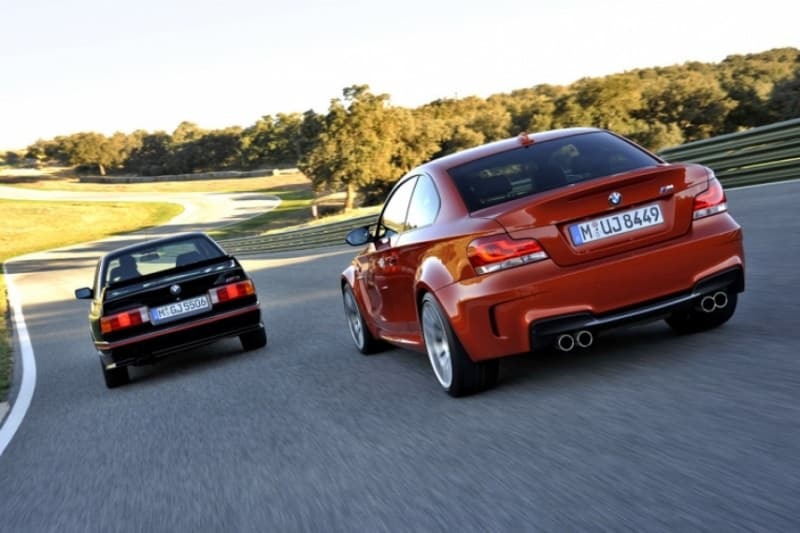 As a result, the 1 Series M Coupe has been equipped with BMW’s latest aerodynamic innovation. Air curtains, used here for the first time in a BMW production vehicle, improve air flow around the wheel arches with the benefit of significantly reduced turbulence. This innovative aerodynamic feature consists of openings in the outer section of the lower front fascia that route high-pressure air through ducts at each front corner. The ducts are approximately 10 x 3 centimeters wide and are designed to channel air to openings at the front of each wheel arch, where it is discharged through a very narrow opening at high speed. The escaping air stream covers the side of the front wheels like a curtain, thereby reducing aerodynamically unfavorable turbulence around the rotating wheels. This feature has a key role to play in the development of future aerodynamic innovations. An example of the air curtain principle was first presented in the concept study BMW Vision EfficientDynamics at the International Motor Show (IAA) in Frankfurt in 2009, and the developers of the BMW 1 Series M Coupe took on the pioneering task of applying this element to a production vehicle. To do so, they utilized the unique capabilities of the new full-scale “rolling road” Aerolab wind tunnel at the BMW Group’s new Aerodynamic Testing Center. There are three exterior paint finishes to choose from for the BMW 1 Series M Coupe. In addition to Alpine White non-metallic and Black Sapphire Metallic, Valencia Orange Metallic is available exclusively for this compact high-performance sports car. The powerfully shaped front fascia is dominated by three large air intakes which secure cooling air for the high-performance engine. The wide central air intake is covered by a honeycomb-structured grille, while the two outer intakes are completely open. This means that in every situation on the road or track, a sufficiently large quantity of cooling air is fed directly to the engine oil cooler on the right and to the supplemental coolant radiator on the left. With the greenhouse conveying an impression of lightness, the powerfully distinctive shoulder line and the elaborately sculpted surfaces symbolize precisely controllable athleticism in profile. The wheel arches of the 2-door model bulge out especially voluminously at both the front and rear. One hallmark M feature is the chrome gill element on the front wheel arch which is particularly elongated. It bears the side turn indicator and the M brand logo, as well as forming the starting point of the character line running along the door handles to the rear. A vertical contour edge starts at the gill element which leads down to the side sill. Fine-tuning in the wind tunnel has also shaped the design of the exterior mirrors. In their basic shape they are the same as those of the BMW M3. The powerful wheel arches also make the rear of the BMW 1 Series M Coupe seem especially broad. Horizontally arranged lines accentuate this impression. A discreet spoiler lip on the luggage compartment lid generates additional downforce on the rear axle at high speeds. The rear fascia has side openings which echo the look of the Air Curtain intakes in the front fascia. The characteristic M visual symmetry is created by two sets of chrome twin tailpipes, each positioned towards the outer edges. L-shaped rear light clusters with red glass covers create a characteristic night-time illumination. Inside these, the rear light is provided by two light banks fed by LED units. The BMW 1 Series M Coupe features standard Xenon Adaptive headlamps. The twin circular headlights are truncated in the upper section by an LED-fed “eyebrow.” This is what creates the focused look of the 1 Series M Coupe. The M-specific cockpit developed exclusively for the BMW 1 Series M Coupe is designed to facilitate focused, sporty driving. High-quality, dark Alcantara with orange contrast stitching covers the door panels, door pulls, instrument cluster binnacle, dash panel, and gearshift and handbrake lever boots. The driver’s attention is focuses on an M-specific instrument cluster with gray dials, classic M red pointers, and white backlighting. An M driver footrest and M entry sills round off the unique interior. The black sport seats in standard Boston leather have orange contrasting stitching and an M logo embossed in the front of each headrest. Seat heating is available for both front seats. The orange contrast stitching is also echoed on the rear seats and on all design elements featuring Alcantara. The leather M multifunction steering wheel features the now-ubiquitous M Button for spontaneous activation of the sharpest throttle response and M Dynamic Mode of DSC. The dominance of dark surfaces, including the A pillar trim and anthracite headliner reduces sun glare and promotes focus on the road. In combination with high-quality materials, carefully planned contours, and selective color accents, the interior of the BMW 1 Series M Coupe provides a perfect environment in which to pursue driving pleasure.